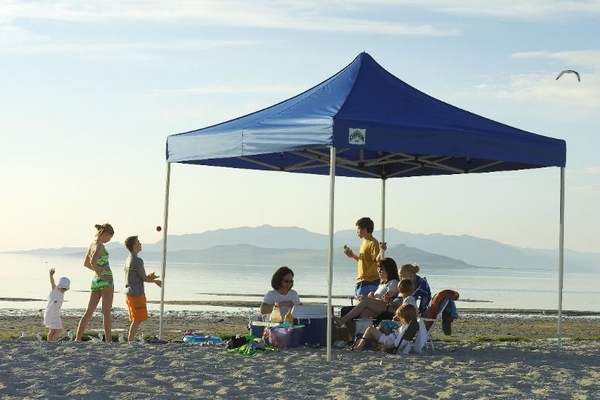 The thing to ask yourself when considering the Caravan Displayshade 8 X 8 Canopy with Professional Top is the same thing you should ask yourself about any outdoor shelter you're interested in buying. The essential issue is to figure out what you're getting when compared to the amount of money you're spending. That sounds pretty obvious and, in fact, it is, but it's important to factor overall function and quality of materials in when you're looking at the total value. Here's what this particular shelter has to offer in all of those categories. 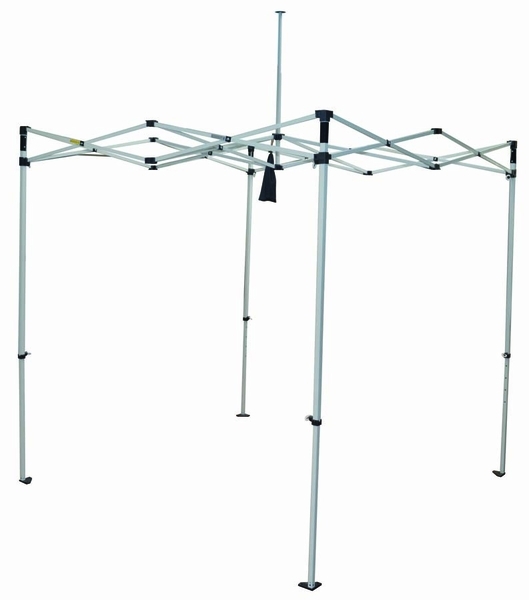 Pull-pin height adjustment, superior UV protection, and simplicity of setup are some of the main features this canopy brings to the table. There are plenty of others, but these are the real calling cards of this model outdoor shelter. After you look at other shelters of comparable size and design, you may well find that this is the highest quality and most functional structure you'll find at this price. 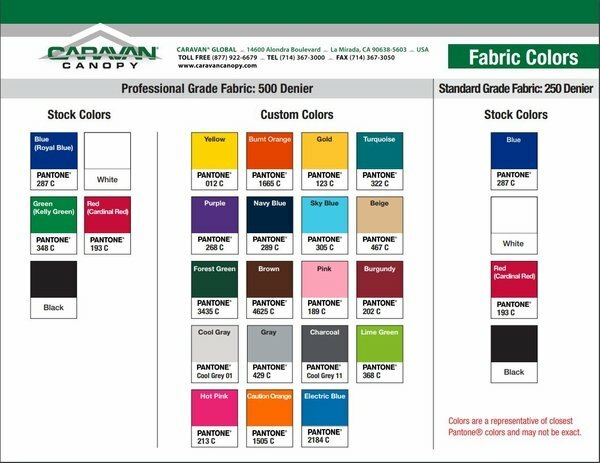 If value, flexibility, and overall quality are highest on your list, then the Caravan Displayshade 8 X 8 Canopy with Professional Top is an excellent choice. WARNING: This product can expose you to chemicals including Diethylhexyl Phthalate, which is known to the State of California to cause cancer, birth defects, or other reproductive harm. For more information go to www.P65Warnings.ca.gov. Can the cloth top be purchased separately? Yes, you certainly can purchase it separately. The link for that product is found here. 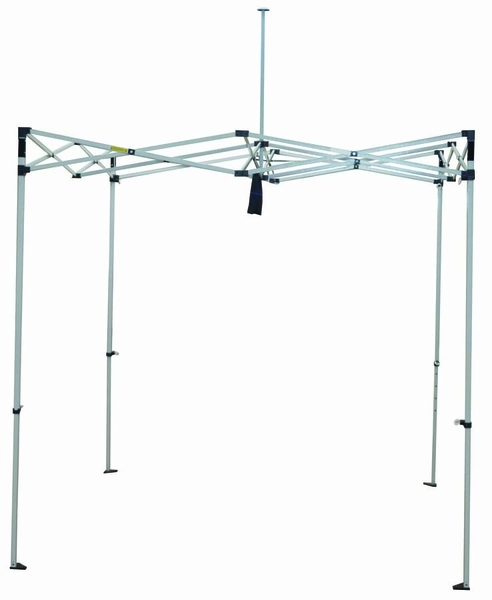 The frame is made of steel, and as with all pop-up canopies they are recommend only for light wind conditions.